Mass Effect is awesome. I knew nothing about the series when I first jumped into and was blown away. The game was super fun and the setting was deep and interesting. It made me fall in love with it rather quick. I wasn’t really into sci-fi much at the time, so this was the perfect gateway for me to give the timeless genre a go. I’ve always meant to dive back into the series, but for now I’m just putting my toe in the proverbial water and taking a look at one of my favorite species in the series, the krogan. The krogan are a large reptilian species native to a planet known for its harsh environments, limited resources, and abundance of predators. The krogan were able to survive and even thrive on their home planet, growing to become an extremely resilient species with advanced weaponry and technology. Their physiology adapted to their brutal surroundings, leading to the krogan developing a number of features to help their survivability. The most notable feature of krogan physiology is their redundant organ systems. These back-ups allow a krogan to continue even after severe damage to vital functions, including multiple hearts and lungs. They also bear a large shoulder hum that stores fluids and nutrients, allowing them to survive for extended periods of time without food or water. Krogan are also known for their blood rage, a state of enhanced awareness in which a krogan becomes almost unresponsive to pain and is able to fight to the death, in exchange for a lowered capacity for logic and self control. Krogan are long lived with lifetimes up to over one thousand years. Today, they are valued as mercenaries and warriors, serving as guards and assassins. 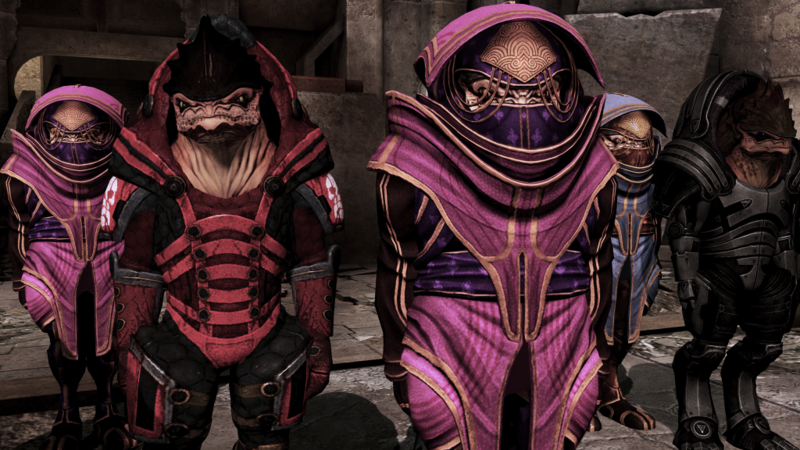 Size and Type: Krogan are Medium humanoids with the krogan subtype. Krogan Blood Rage: Once per day, a krogan brought to 0 Hit Points but not killed can fight on for 1 more round. The krogan drops to 0 HP and is dying (following the normal rules for death and dying) but can continue to act normally until the end of his next turn, when he becomes unconscious as normal. If he takes additional damage before this, he ceases to be able to act and falls unconscious. Krogan Resiliency: Krogan receive a +2 racial bonus to saving throws against disease, poison, and radiation. 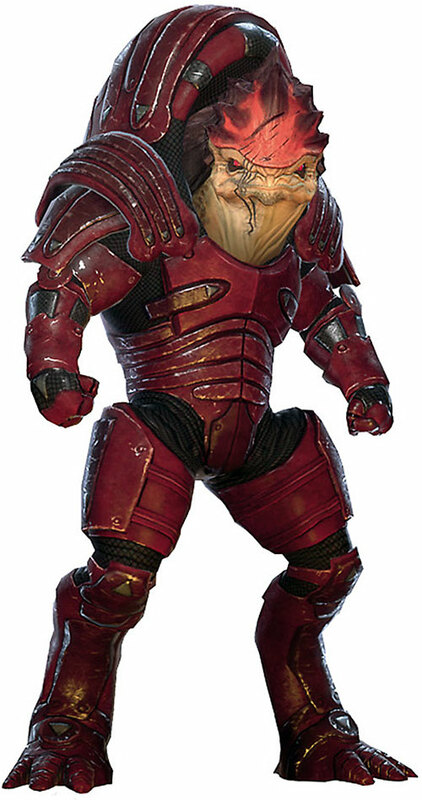 Shoulder Hump: Krogan can go twice as long without food or water before suffering the effects of starvation and thirst. Tough Hide: Krogan receive a +2 racial bonus to KAC. The krogan are one of many species that are part of the Mass Effect universe. 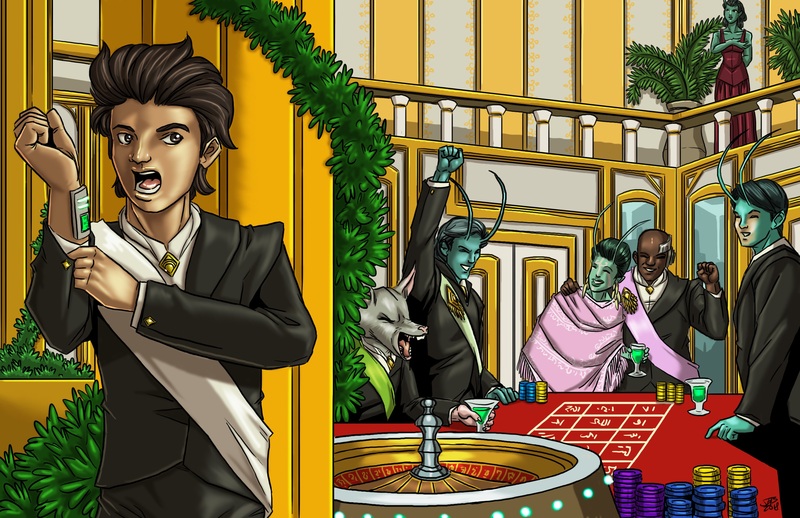 One of the main party members in the first game, Urdnot Wrex, is a krogan and is probably one of my favorite party members in the whole series. Unfortunately, the game doesn’t really make any distinction mechanically between the different species, so it was up to me to interpret the lore as a I thought best fit the krogan. Rather than just make another alien stat block, I wanted to take a crack at making a new playable species. 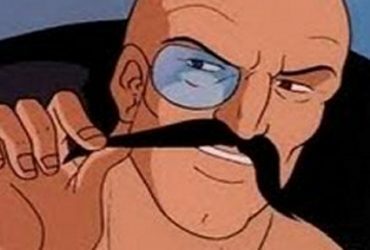 Seeing as they are big and tough, I thought it was obvious to give a Strength and Constitution bonus. I went with a wisdom penalty as krogan are known to seek out combat or make other poor decisions, even when it might lead to their destruction. Krogan hide is known to deflect attack from bullets and blades with ease. Rather than grant the krogan DR, I went for a unique ability here and gave them a bonus to KAC specifically. The resiliency and shoulder hump came about due to the krogan’s capability to survive very harsh environments. Finally, the blood rage is just the half-orc ferocity with a different name. All in all, I think this covers the main aspects of the krogan pretty well. That’s it for this week! If you end up introducing krogan into your game or you have any request for a future Monstrous Physique, please drop me a line at KnowDirection@hotmail.com.